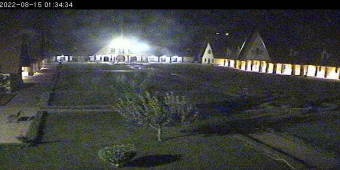 It's 20:21 in Ifrane, Morocco right now. Al Akhawayn University View of the campus of the Al Akhawayn University in Ifrane, Morocco. Taza: Place Aherrach, 79.1 miles away. Tangier: HD Stream over Tangier, 160.7 miles away. Gibraltar: View over Gibraltar, 181 miles away. Gibraltar: Frontier Queue Live Cameras, 181 miles away. Gibraltar: Gibraltar Cable Car, Top of the Rock, 181 miles away. Vejer de la Frontera: View over Vejer de la Frontera, 194.1 miles away. Manilva: Puerto de la Duquesa - Marina, 196.6 miles away. Conil de la Frontera: Playa de la Fontanilla, 197.6 miles away.